One of professional wrestling’s biggest stars who has yet to enter WWE recently gave comments about the company and their use of Shinsuke Nakamura. Kenny Omega, who is slated to take on WWE’s Chris Jericho at Wrestle Kingdom 12 in January, has referred to “The King of Strong Style” as being underwhelming during his main roster run so far. In addition, Omega has called WWE “soulless” in terms of their approach to some aspects of the business. Here’s the latest on what Omega had to say about WWE ahead of his big match with Jericho. On Wednesday, an interview that Kenny Omega did with Sports Illustrated began making the rounds online. In the article, Omega spoke about wanting his upcoming match against Chris Jericho to be a “wake-up call” for not only New Japan but also the WWE. Omega, also known as “The Cleaner,” was especially critical of the latter of these two entities. When asked about possibly coming to WWE, Omega has said he feels Japan is like a second home for him and he believes there’s still more for him to do within New Japan. He also said he doesn’t believe anyone on WWE’s main event scene can compete with the Okada vs. Tetsuya Naito or Omega vs. Jericho level of talent that will be on display at the Wrestle Kingdom 12 event. The NJPW star said he believes that WWE is “super over-booked” right now and that some stars need a lot of choreography before they can perform in a match. In the SI interview, Omega further elaborated on his criticisms of WWE. Omega also mentioned he has followed Shinsuke Nakamura’s career since “The King of Strong Style” moved from NJPW to NXT and WWE’s main roster. He said he is happy to see the response Nakamura is getting and that they knew once he left NJPW his charisma would win fans over elsewhere. He added that despite that, he feels more work is needed to get Nakamura to the level he deserves within WWE. 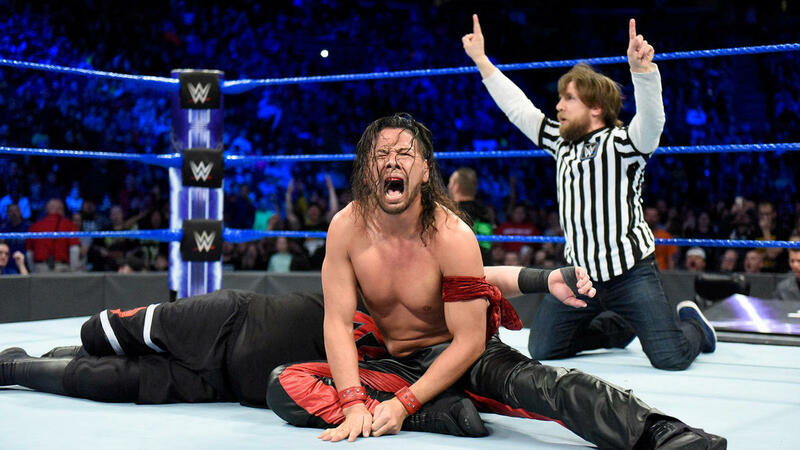 Shinsuke Nakamura has participated in the WWE Championship picture but fell in several attempts against former champion Jinder Mahal. There are those fans who believe Shinsuke may pick up the big win at the Royal Rumble 2018 match, but based on his latest booking that could be questionable. “The King of Strong Style” has yet to capture any gold on WWE’s main roster level, but he is a former NXT Champion. As mentioned, Kenny Omega has never set foot in a WWE ring, but there are plenty of fans hoping he will join the mix in the future. Based on his interview, he seems content with his current second home and the way in which NJPW presents its wrestling product to fans. That said, having a WWE legend like Chris Jericho working with him in their upcoming match could potentially be a tipping point as the connection is now there. Perhaps one day, fans will see that Kenny Omega vs. Shinsuke Nakamura dream match within the WWE.